Summers are here. And these heated months make it difficult to maintain the electrolyte balance of your body, cool yourself off and also lose weight at the same town. While it may be difficult, to burn fat while also cooling off your body isn't that difficult. Certain coolers can actually be the key to your perfect health this summer. Healthy hydration is always extremely essential during summers; however, instead of having sugar-laden carbonated drinks you might want to try some healthy coolers that can help you lose weight and also maintain your overall health. Using fresh fruits, amazing seeds and even vegetables you can make your summers healthy by making delicious coolers out of it. Sabja doesn't just help you lose weight but also help heal your digestive system, cool off your body, control blood sugar levels, treats acidity and heartburn and is an overall healthy ingredient. Sattu or toasted gram flour is a fantastic summer ingredient. Rich is soluble fibre, and this low caloric ingredient will not only re-energise you but also help you lose weight and cool your body down. Citrus fruits such as orange and lemons aren't too refreshing during summers but are also rich in vitamin C and various antioxidants. Moreover, they also hydrate your skin and make you feel better. Watermelon helps hydrate your body and are also rich in healthy fibre. Moreover, antioxidant-rich berries are considered to be the best fruit for weight loss. Sip on some watermelon berry smoothie this summer. Who doesn't like aamras during summer? And if you think aamras is not healthy, you might want to think twice. 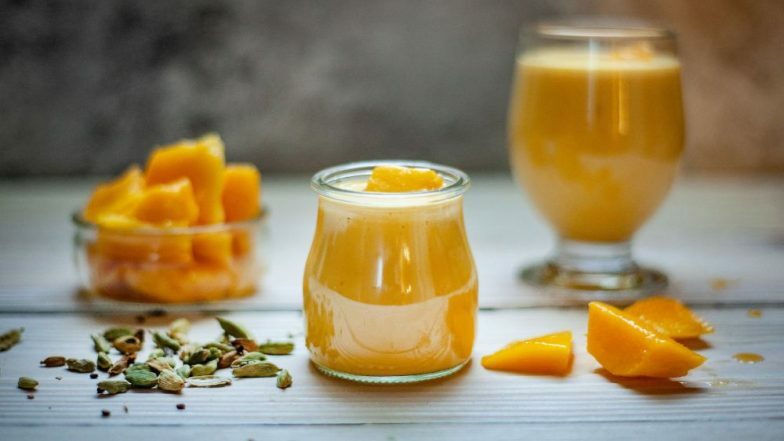 Homemade sugar-free aamras is rich in various nutrients that can keep you healthy this summer. Infact you can opt for any fresh fruit juice and avoid adding processed sugar to it. You can also try fermented beverages this summer.